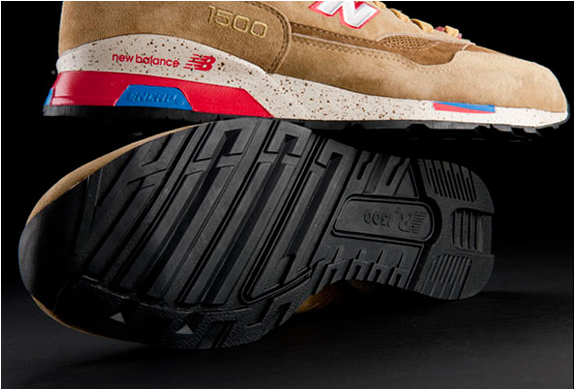 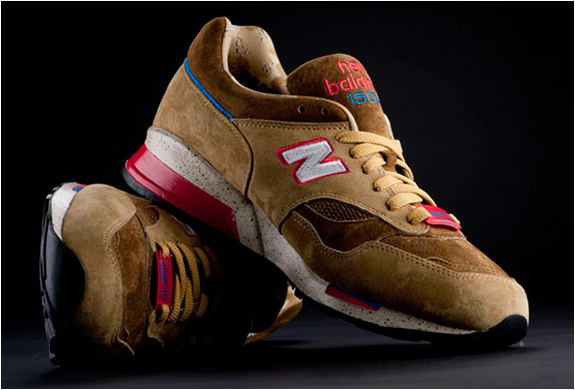 The inspiration behind the New Balance Desert Storm 1500 is based upon military designs from the Gulf War. 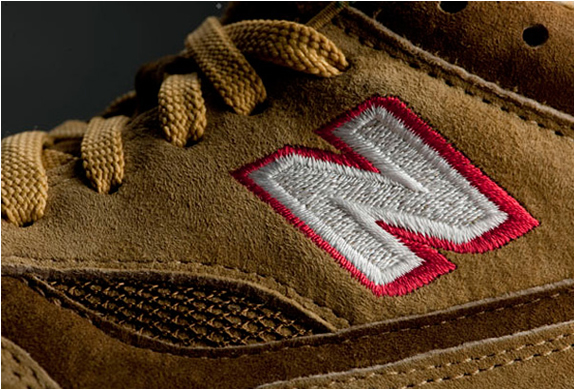 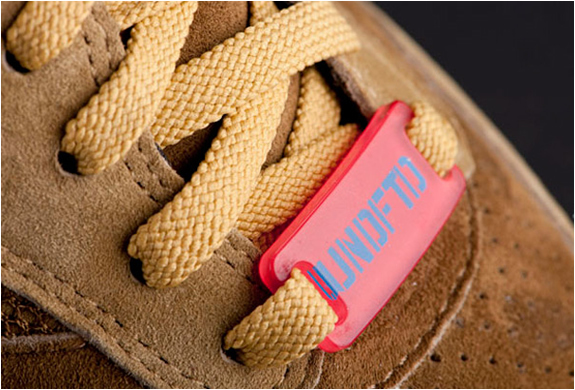 The light and dark brown panels with red and blue hits are colorways inspired from a Desert Storm operations patch. 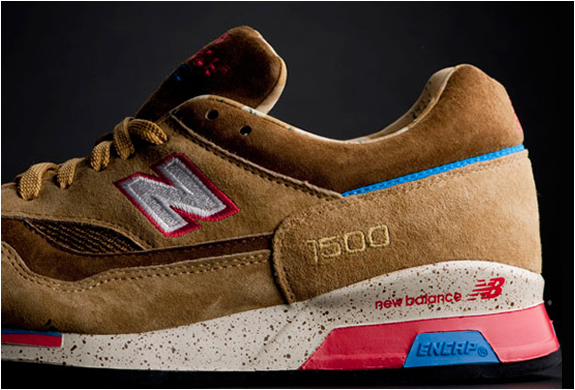 The premium suede fabrication of the shoe has been chosen to correspond with real army boots that were worn in the Gulf War.